The latest episode of WWE ARRIVAL featuring Matt Riddle has been released. The third episode features Matt Riddle on the road with his two daughters as they move to Florida, where Matt Riddle will be training at the WWE Performance Center. Riddle also talks about his run in the UFC and how he was fired from the promotion. He says that it was due to butting heads with people within UFC over a Dan Hardy fight, but the documentary doesn’t touch upon the failed marijuana tests. 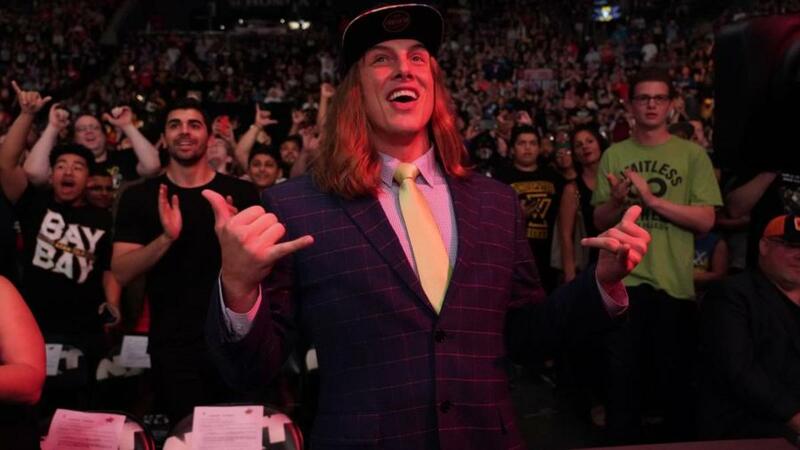 After being fired from the UFC in 2013, Riddle competed in MMA for another year before transitioning to professional wrestling in 2014. His first big break came when he signed with WWN, competing in EVOLVE for the next three years, winning the EVOLVE and WWN championships along the way. He officially signed with the WWE a few months ago in October. You can catch the latest episode, along with the first and second episodes below.